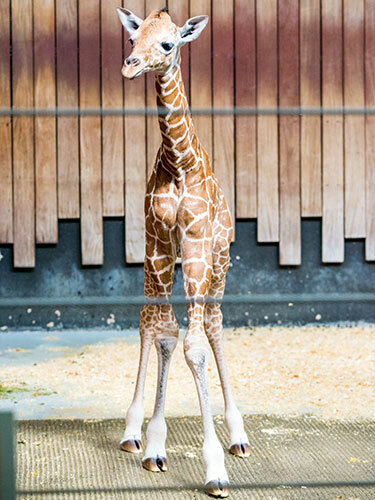 The Milwaukee County Zoo is proud to announce details of a reticulated giraffe birth on April 26. 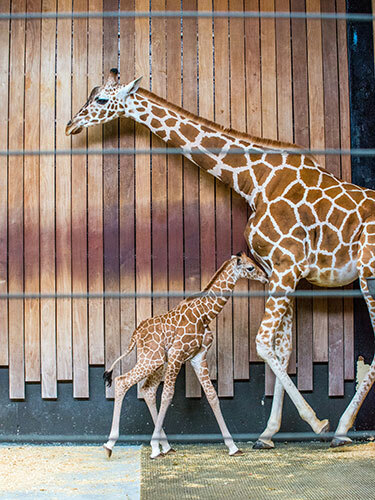 The new giraffe joins Tafari, the most recent giraffe born at the Zoo in September 2015. 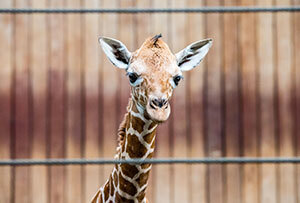 The new female was born in the early evening to first-time mom Marlee, and dad, Bahatika. 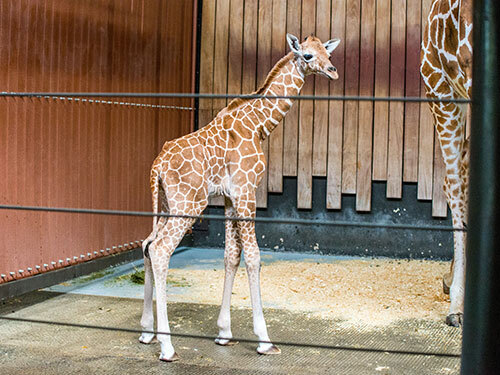 On April 27, veterinarians completed the calf’s first exam, and recorded a weight of about 130 pounds, and a height of approximately 5 feet 7 inches tall. 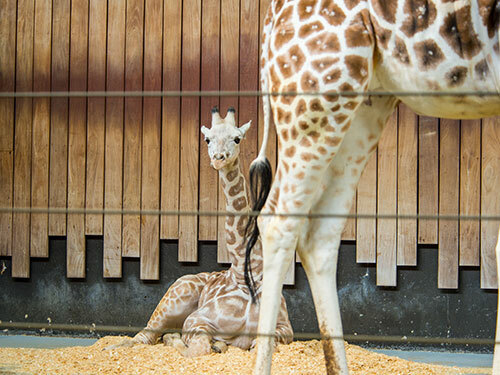 Zookeepers and medical staff have been monitoring mother and baby. Marlee appears very calm and attentive to the calf, who is nursing regularly. Marlee is 4 years old, and arrived at the Milwaukee County Zoo in 2013 from Zoo Miami. Bahatika is 11 years old, and arrived here in 2006 from the Cheyenne Mountain Zoo in Colorado. He is also the father of Tafari. In the wild, giraffes are found throughout the savannas of Africa. Although not threatened by extinction, the wild giraffe population is less than 80,000 and decreasing; but exact numbers are uncertain. 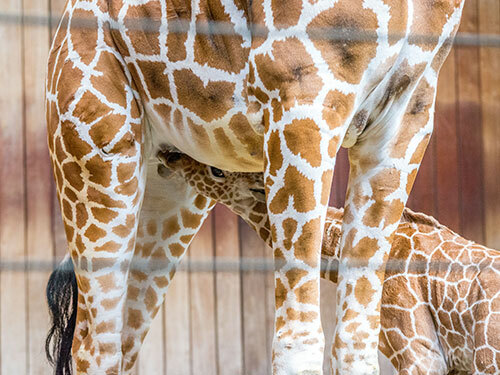 The Zoo’s indoor Giraffe Exhibit will be open for limited hours beginning at 10 a.m. daily, through this weekend, and then most likely increase as the calf and mother become more comfortable with visitors.